Dean joined Guild Yule in 2018. 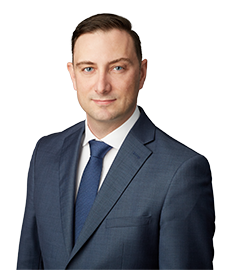 Dean has experience in the areas of general commercial and insurance litigation, including the defence of businesses. He also practices generally in defending personal injury, property damage, product and occupiers’ liability actions. Dean enjoys hiking and taking his dog for walks in Stanley Park.